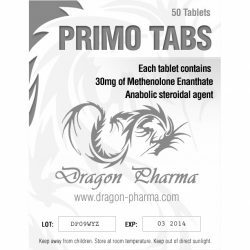 Methenolone - anabolic and androgenic steroid, better known under the brand name Primobolan. Chemically it is a derivative of dihydrotestosterone. 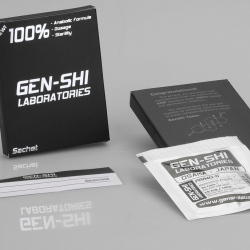 It has quite a low impact on the body, is slightly inferior to the pure testosterone. 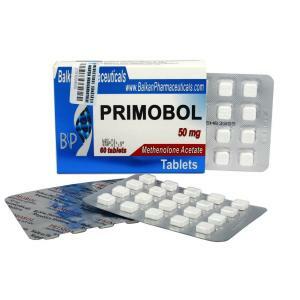 The steroid is available as tablets and injectable form (Primobolan depot). 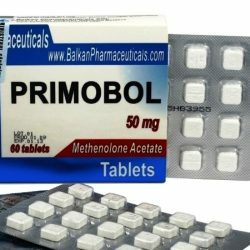 The active ingredient in the Primobolan tablets is Methenolone Acetate. It has a very short half-life - no more than 5 hours. This product price is quite high. The main advantage of tablets is the lack of side effects on the liver. Anabolic effects - 88% from testosterone. Androgenic effects - 44% from testosterone. Conversion to estrogen - is absent. The level of exposure to the liver - moderate / weak. 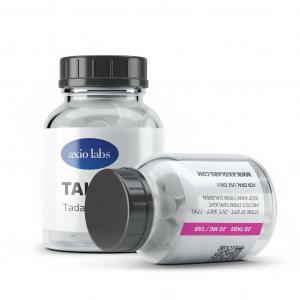 Product form - tablets, injections. Detection time at Doping Control - up to 5-6 weeks. Lean and toned muscles. 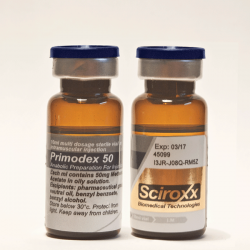 The most common steroid used in "dry" cycles for conservation of gained muscle mass. Rollback phenomenon is minimal. 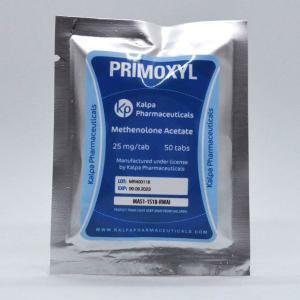 Methenolone Acetate cycle is best suited for athletes who are interested in maintaining muscle mass and increasing its tone and vascularity of muscle fibers. Before taking the steroid it is recommended to consult a doctor and undergo a full medical examination (for monitoring vital signs). Methenolone cycle is held for 6-8 weeks. For oral form dosage is from 50 to 100 milligrams (daily). PCT after Methenolone cycle begins 2-3 days after completion of reception of tablets. 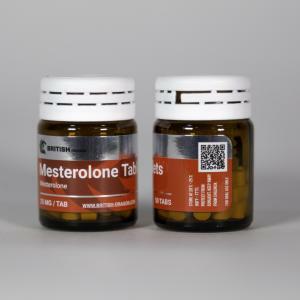 As for how to take Methenolone Acetate with other AAS, for gaining muscle mass can be set in the cycle with Nandrolone, different Testosterones, Oxymetholone, Methandrostenolone and Sustanon, for "drying" - Winstrol. The safest mass gaining Methenolone combination is considered with Nandrolone (on a cycle almost never appear adverse reactions, with minimal rollback phenomenon). 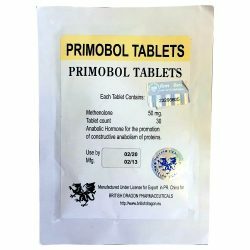 Do not use this steroid in combination with more than two drugs. Mixed cycle is best to limit in half-doses - it will achieve synergies and reduce the possibility of side effects. For women, this combination is not the best choice. 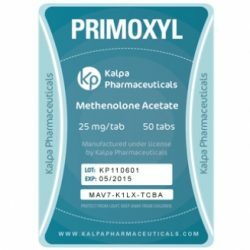 Methenolone Acetate is a steroid that does not have estrogenic effects, that's why users do not face the risk of edema and gynecomastia. 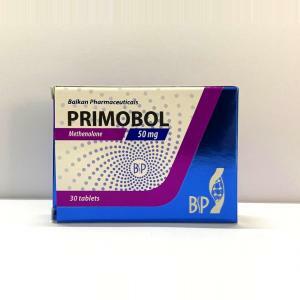 Thus, possible side effects of Primobolan tablets are associated with the suppression of the level of testosterone secretion. According to studies, the drug for 6 weeks at a dose of 40 mg reduces twice the body's ability to produce testosterone. However, the effect only occurs at longer time of use. To compensate this negative effect, you can use Gonadotropin in the cycle of Methenolone Acetate, and at its end - testosterone boosters. Rarely, but still possible, such side effects as liver disease, insomnia, irritability, aggression. 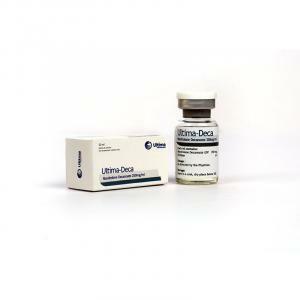 Athletes says that Methenolone has good fat burning effects, ability to enhance vascularity and muscle relief. Along with the growing power and performance. Negative Methenolone Acetate reviews often are criticized due to its high cost. Novice athletes are sometimes afraid to make shots, and refuse to purchase injectable AAS in favor of the oral counterpart. 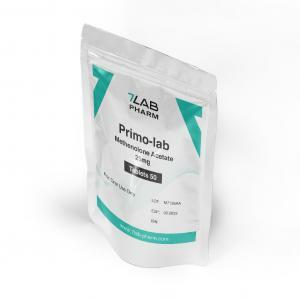 There are reviews of Primobolan by female athletes. They all talk about how it is a safe and effective steroid.